No Time to Exercise Because You Work Too Much? Do you struggle to fit exercise into your busy schedule? It is extremely difficult to make time for exercise when you have several other obligations in your life. The good news is, there are several things you can do to stay fit despite your hectic life. In this post, we will cover 5 strategies on how to make time for exercise, even if you work 16 hours a day. Everyone needs to find a balance between school, work, and exercise. Whether you like it or not, physical activity has to be a part of your life. Every day, more and more research is revealing that inactivity is a major contributor to heart disease, diabetes, and obesity. In addition, the chronic stress we experience from our busy work lives helps contribute to morbidity and mortality. Exercise will help kill two birds with one stone. Why wouldn’t you take advantage of such a miraculous solution? Even the Center for Disease Control (CDC) has come out and recommended that all adults get at least 150 minutes of moderate physical activity a week. 150 minutes is 2 hrs and 30 minutes. This may sound like a lot, but it is doable. How do you find time to accomplish this recommendation? The key to exercising on a regular basis is to make exercise a part of your daily routine. In other words, it should feel weird if you do not exercise for more than a couple of days. First and foremost, it is vital to establish a post-work routine that is conducive to fitness. Every single day or shift at work has the potential to be drastically different from the one before it. As a result, your mood, energy level, and time in which you finish your obligations vary on a day to day basis. Despite all of this, you still follow a routine. No matter what kind of day you had at work or at home, I would bet that you probably still have dinner, take a shower, make a phone call, chat with family or friends, wind down with a TV show, or surf the web. The point is, you create a routine that (for the most part) pretty much stays the same regardless of the kind of day you had. The key is to take a small portion of this routine and replace it with a non-cumbersome training session that you could easily integrate into your life. Here are the 5 things that you need to do to integrate exercise into your post-workout routine. When we started residency, we knew that we had to make changes to the way we exercised. We had to find ways to get to and from the gym efficiently, and how to maximize our workout so that we did not have to be there for a long time. One of the biggest hassles about exercise is the commute to and from the gym. When you work 80 hours a week, there is very little time to be wasted. You must find a gym that is very close to where you live or work. Wasting time on a commute to the gym is the precious time that you could be using to train, and precious time that you could be using for the remainder of your post-work routine. A home gym is even better. If you have space and budget to do so, a home gym could be a great investment. Learn the best way to do it at How to Build A Home Gym That’ll Give You a Big Return On Investment. Now that you have saved some precious time by finding a gym that isn’t out of the way, let’s move on to step #2. You must bring your gym clothes and equipment with you to work. This is imperative to create efficiency and to help set your mindset! Once your shift is over, change into your gym clothing before leaving work and go. Having your gym equipment with you serves as a constant reminder that you made a promise to yourself. 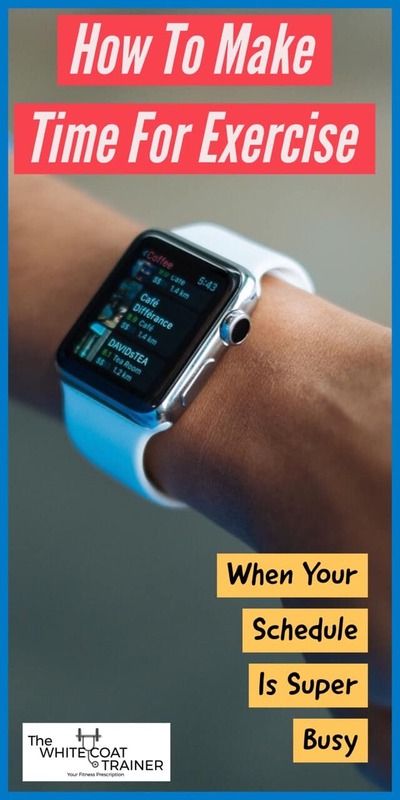 It also helps to hold you accountable because when others see you leaving the work place with your workout clothes on, they know that you are headed to exercise. Perhaps, you could also motivate someone else to do the same and join you! If you have to go back home to get changed, this will then create a new challenge. The challenge of developing the activation energy to actually get dressed and go back out, rather than just laying out on your couch. You need to set yourself up for success, and it starts by packing your bag every night, and getting ready to go! Most people find every excuse not to go to the gym. As a physician, the excuses are abundant. The only way to make training a part of your daily routine is by forcing yourself to go, no matter what. Just like flossing, you have to create the habit of flossing daily, otherwise, you will never do it on a consistent basis. With that being said, I understand that there will certainly be days where it cannot happen. There have been many times where I left the hospital after 10 pm and I had to be in again the next day at 5-6 am. On these days, it is much better to just get home and sleep. Barring extreme situations such as these, it is absolutely feasible to fit a training session on a routine day. In addition, most people work 5-6 days a week. You have ample opportunities on your off day to make up any missed training sessions from the week. When it comes to fitness, something is ALWAYS better than nothing. The next thing you need to do is to maximize our time at the gym. You do this by creating a workout plan that can be done in 30-35 minutes a day. Wait…. doesn’t this go against the notion that you have to be in the gym for 1-2 hours a day? Thankfully, you do not have to spend countless hours in the gym. The key is to design training programs that utilize ONLY the highest yield exercises to minimize the time needed to spend at the gym. You have to treat exercise like an investment. Why would you waste your time investing money into a venture that will only return 1%? You are much better allocating your resources almost exclusively to the high yield stuff. So what are the highest yield exercises? The highest yield exercises are big, compound exercises with a large range of motion. The ones that exercise multiple muscle groups at once. Don’t waste your time majoring in the minors doing tricep pushdowns, dumbbell lateral raises, and cable bicep curls. These exercises are just supplemental movements at best. So which exercises should you use? Check out The Best Workout Template for Busy Professionals to learn how to design your own simple yet highly effective training plan that utilizes only the stuff you need, and none of what you don’t need. These programs are designed to be done in just 35 minutes a day. Everyone can carve out 30-35 minutes out of their day to exercise. PS: Knowing that your workout will only last ~35 minutes makes the anticipation of training more palatable and self-motivating. Another way to help fit exercise into your busy schedule is to make your training fun, something that you will look forward to. I know what you’re thinking. How could exercise possibly be fun? The easiest way to do this is to turn your exercise routine into small challenges that you must accomplish. If your goal is to just run on the treadmill for 30 minutes or to simply train your biceps, then you will get nowhere fast. This stuff is unbelievably boring. Vague training plans such as these will not motivate you to exercise. By making your training fun, you are more likely to keep at it, and find/make the time to do it. Keep a Journal: Keep track of your progress. Document all of the exercises you perform, along with the weight, the sets and the reps you do. Aim for a Small Win Every Day: As you track your progress, try to be better than you were the day before in any measure, (sets, reps, weight, etc). Get one more repetition. Lift 5 more lbs. Do it with a shorter rest period. It doesn’t matter what it is. Get better in some way. It’s like watching yourself evolve! Take Progress Photos every 4 weeks: There’s nothing more motivating or uplifting than seeing before and after photos during a workout routine. Create a challenge for yourself. There should be some measurable progress in your training from week to week. Physique changes will be an automatic byproduct of this type of training. Trust us, it is unbelievably rewarding watching yourself get stronger and beating your previous personal records! Ok, so all of this sounds great, but you have 5 kids, no babysitter and you work 100 hours a week. You owe it to yourself and everyone else you are taking care of to be the best version of yourself. You need to carve some time out of your day to take care of yourself so that you can show up and be the best you can be for your loved ones. Even if you cannot make it to the gym, there are other, simpler ways to workout. We created a comprehensive guide on how to workout at home! These exercises will train your entire body, and it can be done in as little as 15-20 minutes a day. As a resident physician, we have begun to harness the power of walking. Walking is the most underrated form of exercise and the kind that anyone can do on any given day. It is so powerful, we wrote an entire article on it. Check out The Powerful Benefits of Walking because this is one type of exercise you do not want to miss out on. I challenge you to use these five tips to fit an exercise session into your post-work routine. It is not easy, but if you are disciplined enough to do this for a few weeks, training will begin to feel like a habit. Studies have shown that habits can be developed with 66 of days of consistent deliberate practice. Additionally, you will also begin to note significant improvements in the way you feel, your energy levels and your sleep quality. Does your daily routine include a training session? If not, what are the barriers that prevent you from including a training session? Post your comments and questions below and don’t forget to look into our pre-made 15-week strength templates which abide by all of the principles we discussed here. Be sure to share these tips if you found them useful and subscribe to receive a copy of our free Ebook- The White Coat Trainer Nutrition Guide! Totally agree with everything you said. 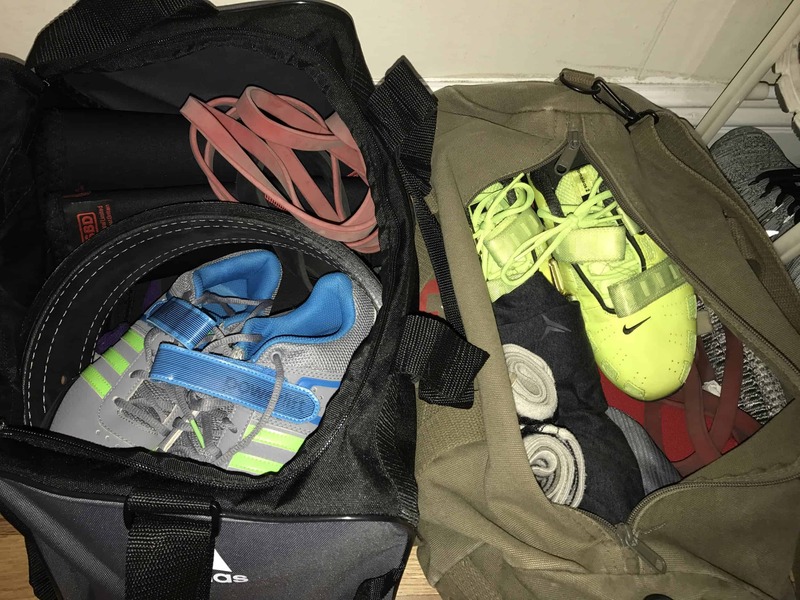 You gotta make it a part of your routine, and you gotta bring those workout clothes with you, mine are always in my car, that way there is just one less excuse you can make. Absolutely. Having to go home to change makes it less likely that you’ll leave the house again. Bringing everything with you is a game changer.